The area of Computer Science is broad, and covers computer hardware, writing software for robots, creating new innovative technologies, designing web sites and learning about the different parts of technology that make up everyday computers and other devices. We focus on logical thinking and finding mathematical ways of solving problems. 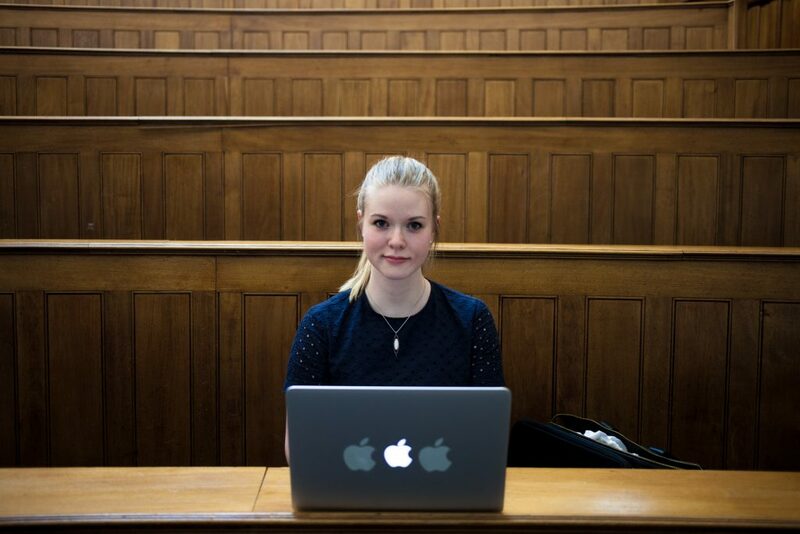 I initially started studying Industrial Engineering in Iceland (which I chose to study because I loved maths and wanted to apply my knowledge in the real world), but decided that Matlab and R were more interesting than studying the processes of supply chains. I then decided to change degrees and started my BSc degree in Computer Science at UCL. I’ve always loved working with kids, having been a karate instructor for over 11 years. We had a presentation in one of our classes where the presenter told us about volunteering opportunities to teach kids to code. That was the first time I realized I could combine my interest in technology and my teaching experience, and volunteered to set up a programming club in my local community. One of the best things about being a STEM Ambassador is the fun that you have at events with the kids. They are so incredibly enthusiastic and energetic and inspire you to learn more and explore the STEM field further. I have organised and run a series of CoderDojo’s at UCL, which are programming workshops for kids. This included two Girls Only CoderDojo’s where over 60 girls came to learn how to program. I have also set up CoderDojo’s at American Express in Burgess Hill, and at Ada, The National College for Digital Skills in Tottenham Hale. I have also set up a Code Club, an hour long weekly coding program, in Tottenham Hale, and organised a girls only coding club in the school where I teach programming. Meeting like-minded people is a great benefit of volunteering as a STEM ambassador. Everyone else who is volunteering is likely to be enthusiastic and interested in the subject, resulting in making new contacts in your field. This can include both new friends, and business contacts, which can be of great value when applying for jobs. On that note, being a STEM Ambassador volunteer is also a great thing to put on a CV. The reaction of the young people I have worked with, when introducing them to new pieces of technology has been incredible. As kids, they get very excited to learn new things and to experiment with technology. Being part of their learning process, and playing a role model in their lives, as someone that they look up to, is very giving and inspiring. Go for it! Don’t let anything stop you, regardless of previous education or any other external factors. Find out about events in your field of interest (for example coding workshops for those interested in technology), to learn more about the subject and get to know people who are currently studying or working in the field. Many such events are free to attend and tickets can be found on Eventbrite or on various University and library websites. Science, Technology, Engineering and Mathematics are for anyone to study, interest and hard work is all it takes.